Introducing Advertising: and the journey starts. Advertising could be defined in so many different ways, also contrasting between them, that if we were to ask a group of people to qualify it by using just a single word, it would be hard to match the results. This heterogeneity is the beating heart of a very special kind of communication, where the explicit purpose is to promote products and services to potential consumers. In the development of advertising, the economic field played an important part. 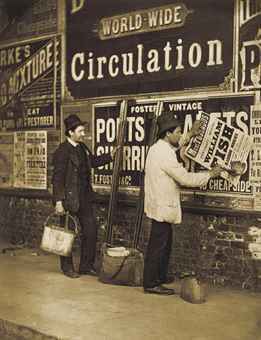 Despite the use of advertising in some English newspapers, during the 18th century, it was only toward the end of the 19th century that a “perfect mix” launched the spread of advertising in publications. This was due to some social and economic factors, for example mass production registered an increase in the flow of goods, consumers had more buying possibilities and also competition was a leading trend for producers. From the producers’ standpoint, advertising starts to sound like a delicious chance to promote products and, then, increase incomes. On the other hand, American publishers realized that advertising would have represented an incredible economic resource: thanks to advertising income, it was possible to lower the price of their newspaper or magazine and accordingly increase its circulation just as a chain process. At the end of that century, in 1893, different journals experienced the benefits of advertising exhibition, such as Mc Clure’s Magazine, Munsey’s Magazine and Cosmopolitan, who proudly tripled their sales.